N. Dixie Drive, Dispatched to business for a disorderly impaired patron. Subject was arrested for disorderly conduct. Amar India Restaurant, breaking and entering, Suspect broke into the Amar India restaurant and stole currency. Suspect was arrested and booked into the county jail. Days Inn, possessing drug abuse instruments, Disorderly subjects trespassed from hotels, located needle and possible forged check on female. Max & Ermas, forgery, Unknown suspect(s) passed a counterfeit $20.00 bill. Miller @ Benchwood Road, possession of marijuana, A traffic stop was on conducted on a vehicle with an expired plate (February 2018). Upon speaking with all the occupants inside of the vehicle, a strong odor of marijuana was emanating from the rear passenger. 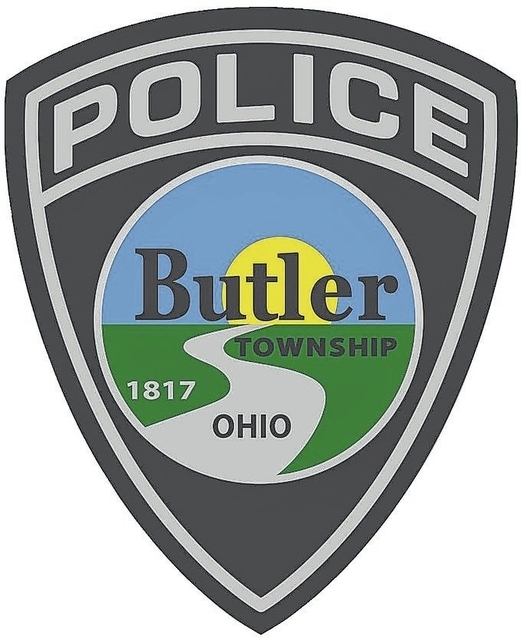 Upon speaking with the rear passenger about the odor of marijuana, the rear passenger reached inside his pants pocket and pulled out a green leafy substance that had the odor of raw marijuana. Walmart, aggravated robbery, A suspect removed merchandise past the last point of sale without paying. The suspect brandished a handgun while fleeing from security. Walmart, theft, Suspect selected a TV, removed it from box, and returned to customer service with an old receipt for cash. Walmart, theft, Report of female juvenile employee stealing from Walmart. Speedway, forgery, Speedway clerk reported that she took a likely counterfeit $100.00 bill around 0300 hrs. Nothing was obtained using the bill due to the suspect fleeing when confronted by the clerk. N. Dixie Drive, felonious assault, Responded to scene of an assault with a knife. The victim was transported to the hospital. The suspect was later apprehended in Dayton but charges were refused by the prosecutor’s office. Walmart, theft, Subject stole television and attempted to flee from officers in vehicle and was eventually apprehended. S. Sunny Ridge, burglary, The victim’s juvenile brother entered her home without permission while she was out of town for several days. Approximately $40 in loose change and a bottle of wine had been stolen from the residence. Office Depot, theft, Unknown subject entered store and left with two computer monitors without paying. Walmart, theft, Subject selected merchandise, exited the store past all points of sale making no attempt to pay for the merchandise. Subject was apprehended when he fled from Asset Protection. Walmart, theft, A Male suspect left the store without paying for television. The suspect was identified and a charge of theft was filed. Walmart, theft, Stopped male subject for shoplifting from Walmart, issued summons to court. Walmart, theft, Adult female shoplifter was booked into the county jail on one count of misdemeanor theft. Office Depot, theft, Two subjects entered store, removed merchandise and exited making no attempt to pay for the merchandise. Walmart, domestic violence, Responded to Walmart 3465 York Commons Blvd regarding a domestic violence that occurred in the parking lot. Upon investigation, the suspect was observed driving in the parking lot. The suspect was stopped and found intoxicated. Suspect was booked into the Montgomery County Jail. Benchwood Road, telecommunications harassment, Resident reported that her ex-boyfriend had continuously sent text messages to her after she told him several times to stop. Cousin Vinny’s Pizzareia, domestic violence, Domestic violence complaint between boyfriend and girlfriend. Case will be reviewed with the Prosecutors Office for possible charges. Walmart, theft, Responded to Walmart for a theft complaint. Male subject was stopped by security and store management. Male subject was issued a summons to appear in court. Hertlein Road, breaking and entering,Victim’s grandson broke in and stole victim’s car. Car was later recovered and suspect arrested. Dog Leg Road, theft, A pump was stolen from a construction site. Walmart, drug possession, Responded to Walmart for a theft in progress. Suspect was placed into custody had drugs on his person. He was booked into the Montgomery County Jail. Brantford Road, breaking and entering, A detached garage was entered by force and items were taken. Speedway, felonious assault, Report of an assault. Two male suspects attacked two male victim. Merrill Road, carrying concealed weapon, I responded to the scene of a person that was lurking around a garage in the area where a breaking and entering offense occurred several hours earlier. Found subject and arrested him for carrying a concealed weapon. Walmart, theft, A male subject was arrested for theft and transported to the county jail for an active warrant. Walmart, theft, Two subjects working in conjunction selected merchandise and concealed said merchandise. They exited the store past all points of sale making no attempt to pay for the merchandise. Little York Road, assault, Report of an assault in the parking lot. Male had minor injury to his forehead. Speedway, possession of heroin, A subject was found unresponsive at Speedway from a drug overdose and was transported to the hospital. Engle Road, criminal trespassing, served a criminal trespassing to a subject squatting in a storage unit. Seized drug paraphernalia. Walmart, theft, Female shoplifter issued a summons in lieu of arrest. Walmart, misuse of creidt card, Victim discovered transactions on his bank statement and was able to cancel those transactions before sale was made. Red Roof Inn, theft, Unknown make or model television was stolen from room #236 of the Red Roof Inn sometime overnight. The guest of this reported the missing telvision at checkout time and claimed he was not in the room overnight. Little York Road, assault, Victim said suspect punched her in the arm when she exited his vehicle. Suspect served a summons for assault.